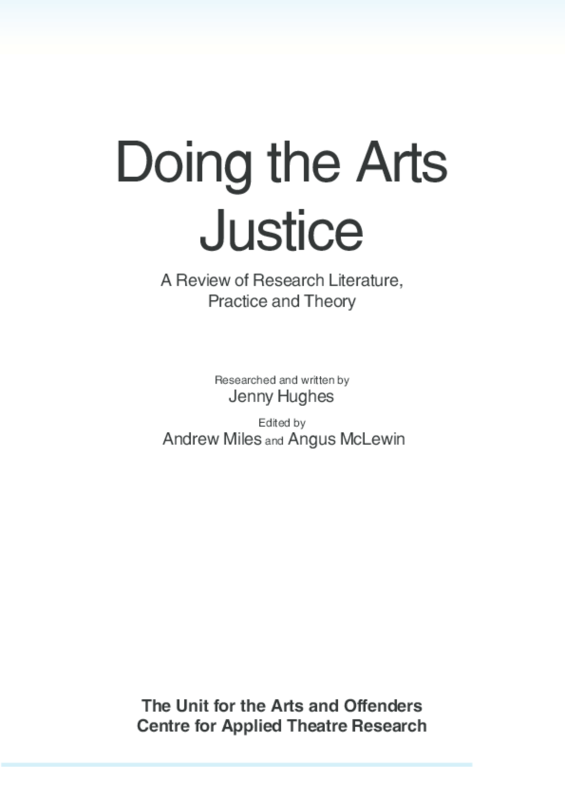 Researched and written by Jenny Hughes, this review of research literature, practice and theory is a must for anyone working on evaluation and research within the arts in social inclusion. It is full of useful examples of the methodologies of recent arts projects that have taken place within criminal justice and social inclusion settings, and packed with statistics and findings relating to the impact of the arts in areas such as prevention of offending and within custodial and community sentencing. Copyright 2005 Anne Peaker Centre. All rights reserved.